Junaid Mohammed, a Second Republic member of House of Representatives has stated that the South should forget 2023 Presidency as the North will present a candidate in the election year. 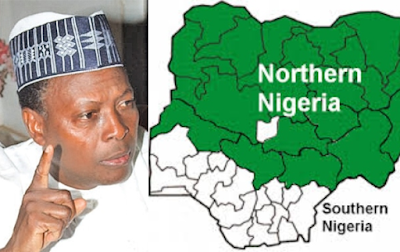 The former lawmaker claimed that zoning and rotation of power have collapsed and as such any region with the political strength can claim the coveted position. He also accused Ohanaeze of collecting millions of naira to support Atiku Abubakar’s presidential bid. Speaking with Vincent Kalu, Junaid Mohammed who stated that the South should forget 2023 Presidency, added that the 2019 election had people who were responsible for maintaining law and at the forefront on mangling the election and upturning peoples mandate. On equity in 2023, he said; "I don’t want to hear about this equity and justice, that is sheer nonsense. The people who abused this equity and justice are the people from the Southeast because whatever we are talking about, in a democracy you cannot circumvent voting figures. "You can say it is time for my people. We will not vote for you and let’s see what happens. 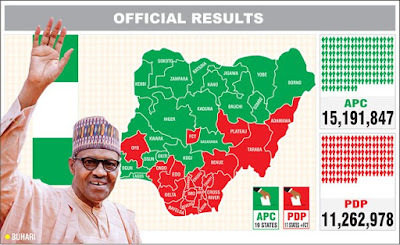 I said it in one of my statements, look at the way the people of the Southeast voted during the last election; they have a humongous collection of votes and they all voted for Atiku, and they expect somebody to come from his own area to vote for them. "If you want other Nigerians to vote for you, you better look for other Nigerians and make a choice. Maybe, in 2023, Kanu will come and force all Nigerians to vote for them. Democracy is a question of give and take; you vote for me and I vote for you, that was what Michael Okpara used to say. You don’t vote for me and maybe you think that by abusing me on the pages of newspapers that I will vote for you. I will not. If I come back into active politics, it will be because of that. Let us see, for abusing people how they will vote for you. "Look at Ohanaeze, how they are duping people; they collected millions from Atiku. Let us see 2023, by the grace of God, which candidate they want to produce. "There are over 232 ethnic groups in Nigeria, how can anybody be a candidate of a group and expect to be voted by the others. You pressmen you have a responsibility to enlighten people. I want to see how they will pick the candidate from Southeast in 2023. Some of us traditionally, we don’t talk too much, but don’t imagine that we will keep quiet and do your own bidding, it will not happen. See what is happening now, we have started the second term of Buhari’s administration, but today, people are scrambling for 2023, and the Yoruba are saying that it is their turn. How it’s their turn, I don’t know. "We keep on making this mistake of agitation of, ‘it is our turn’ over and over again. After all, somebody says the classical definition of madness is doing the same thing over and over and expecting a different outcome. "This is what I see happening in Southeast; you don’t vote for anybody, you only vote for who gives money, also those who say they are in APGA; all those who belong to the Igbo faction of PDP. They should think back and think of their own generation of those who are promising and who are educated and who don’t see politics as trading. Politics is not trading; it is a serious matter."